Howlin' Wolf Records: SIX STRINGS: GHOUL: THE MOVIE belongs on LIFETIME not CHILLER! 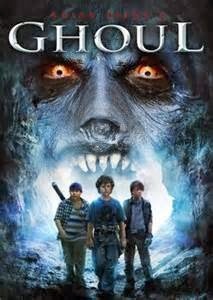 Judging by the commercial and DVD cover of GHOUL from CHILLER FILMS I was expecting a fun type horror movie about three boys running around having adventures like THE GOONIES building a club house near a cemetery and having to deal with the title monster that lurks nearby. Instead what I got was a movie about child abuse and child molestation. I am dead serious, folks. This movie has almost nothing to do with horror. It plays out more like a really bad worse than usual Lifetime Original Movie and you know how much we all love watching those.